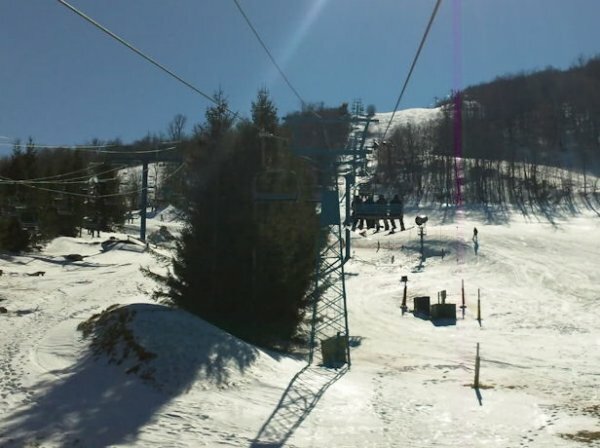 It was Sunny and Warm at Beech Mountain last Weekend. Cold Temperatures Return Tonight! Home Photos It was Sunny and Warm at Beech Mountain last Weekend. Cold Temperatures Return Tonight! Mild Temperatures this morning in the High Country will give way to high winds and temperatures will plunge into the teens later tonight. This great photo showcasing the sun shining over Beech Mountain on January 30th was taken my SkiSoutheast Messageboard Member AnuhJean.